Devon, UK, based artist Theresa Shaw fell in love with paint at a very young age noting the primary colors and the smell of the binder, something she can easily recall now. She remembers standing at the easel throwing paint "Jackson Pollock style". That childhood freedom of painting with abandon kept her drawing and doodling, following in her mother's artistic footsteps. She still has that first plein air work, a crocus from the front garden, created at age 11 when she laid down her plan to be an artist. Even though Theresa fills her time as a gallery manager by day, her artwork has not played second fiddle. Theresa works in acrylic ink, a medium that has the brilliance of acrylic color but flows more like watercolor. With the acrylic washes, she can go back and create layers or remove color by scrubbing the surface. As the process is very intuitive for her, Theresa lets each painting lead the way. I have only posted a few of Theresa's floral watercolors here, but please check out her website for the many black and white landscapes she has created, another lovely original approach. Theresa uses a variety of good brushes on her work, squirrel mops, wide hake brushes, lots of rounds, filberts and long liners. Sometimes she will even pick up a bristle brush for it's ability to move and scour watercolor on the surface of paper or canvas. Even though her arsenal of brushes is full, usually a piece will require just a few familiar ones. After raising a family, Theresa transitioned into instructing watercolors as well as painting her own. Within her own work as well as in teaching her students, Theresa advises to purchase quality. A pattern that we've seen many times from seasoned artists. Theresa explains it better than I could say myself. "Good materials are the key to good art. Anything less and you will find yourself wrestling with shoddy materials and substandard equipment rather than creating a thing of beauty. Keep it simple, you don't need to buy everything, and spend as much as you can on the best quality. Better to have 3 brushes that you can use without thinking than 30 that won't do what you ask of them." 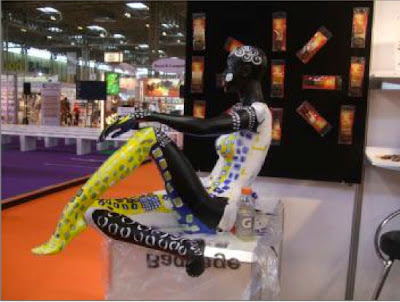 The Autumn Fair International is a massive event, attended by thousands of retailers and manufacturers, pairing together to meet customer's needs. 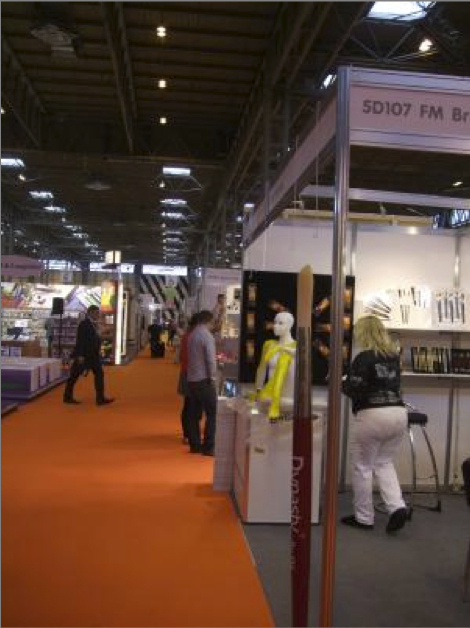 Buyers from more than 78 countries attend and there are many sectors for all sorts of interests. 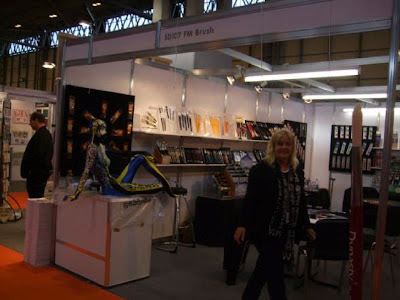 This year, the show was held in Birmingham, UK at the beginning of September and attended by FM Brush, from both U.S. and our Thailand factories. Our wonderful Shar Sosh was there painting a mannequin and you can catch a glimpse of her work in this video around :40. This show encouraged our already large international reach. Many of you, are loyal fans and blog readers are overseas. I've seen and heard from more fans in the UK, Germany and South America than any other countries, including the U.S! And this show allowed us to gain even more exposure to those retailers all over the world so that you can find our brushes closer to home. We keep our "Where to Buy" page up to date, so check back to find dealers close to you. For even more info on the Autumn Fair, check out the Hobby, Arts & Crafts sector. 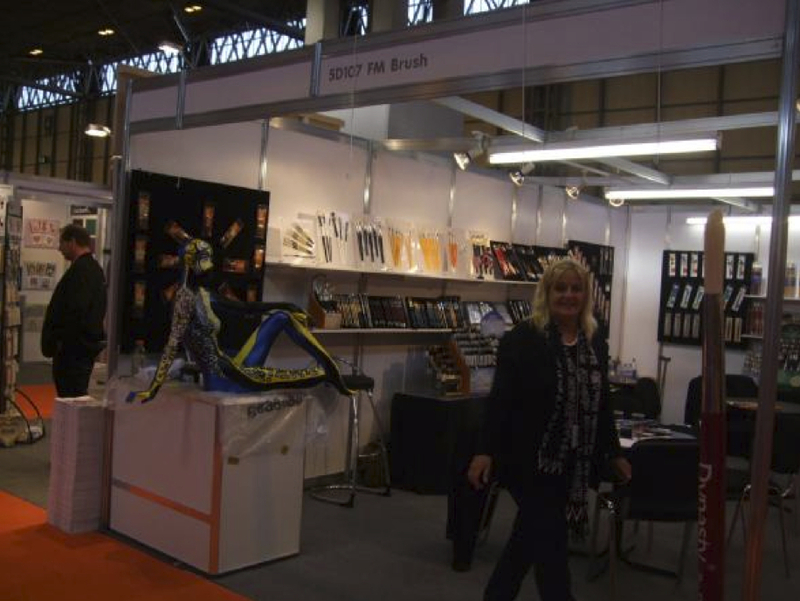 It is one of the newer sectors of the show where FM Brush shared its wares and demonstrated brushes. All art courtesy of the National Gallery of Art Images Collection. If you consider which artists are the most influential in your own work, you would likely find that there are reasons for each choice whether it be an element of design, a technique or even a trademark characteristic in personality. Maybe brushwork is one of those reasons, and if so, what artists stand out as masters of their brushwork? I'd have to say that Vincent Van Gogh is at the top of my list. 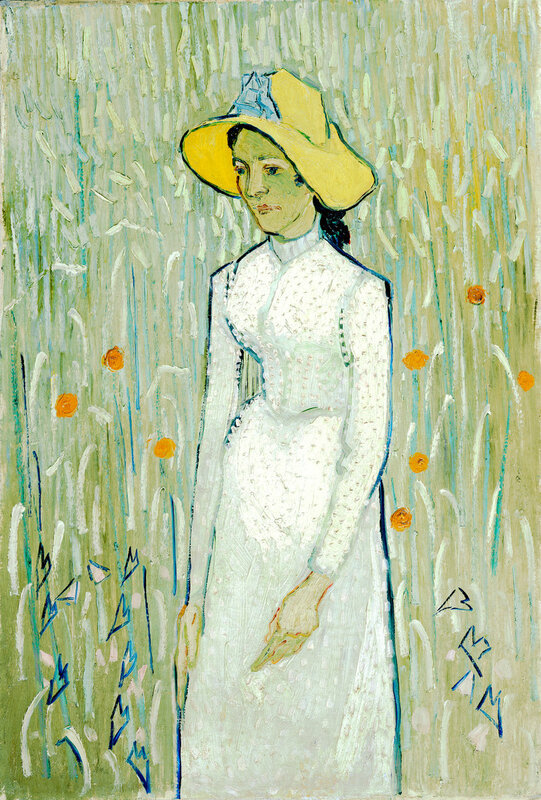 There are plenty of others in the post -Impressionist era that used colored strokes unlike anyone before their time. 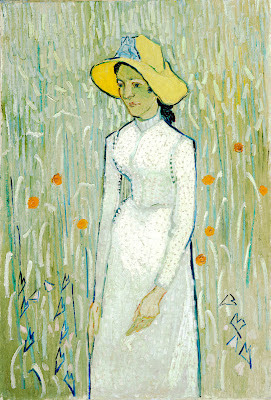 But, Van Gogh took his work in another direction, creating some of the most famous and recognized art we know today. After unsuccessful bouts in other life work, Van Gogh moved to Paris with the intent to give art his full time attention. He surrounded himself by masters, Camille Pissaro, Paul Gauguin, and Claude Monet, soaking in their influence of the impressionist period. Largely from their encouragement, Van Gogh changed his hues and subject matter. His previous work was from his previous employment -- the darker life of the peasants he preached to back in the Netherlands. The newer colors and subject matter didn't alter his style, though, and the brushwork remained intense throughout his life, if not growing more intense, energetic and frantic with age. At that time, post Impressionism artists were altering how nature, landscapes, architecture and portraits were painted. Ultra-realism was phased out as spots of color and simple strokes were shedding light on new ways to conjure imagery. 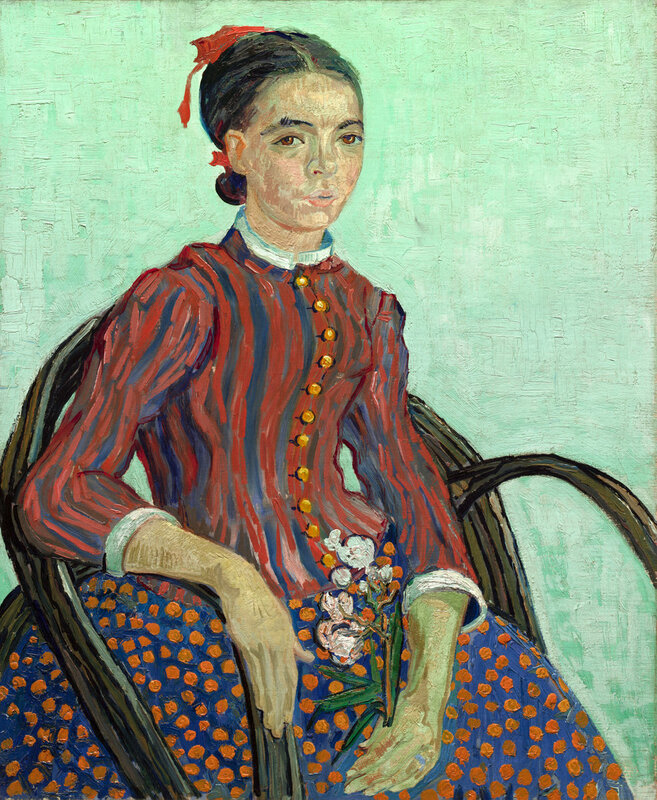 Van Gogh's palette and subjects were altered by the outside world, but it was his touch on the canvas that remained his own. 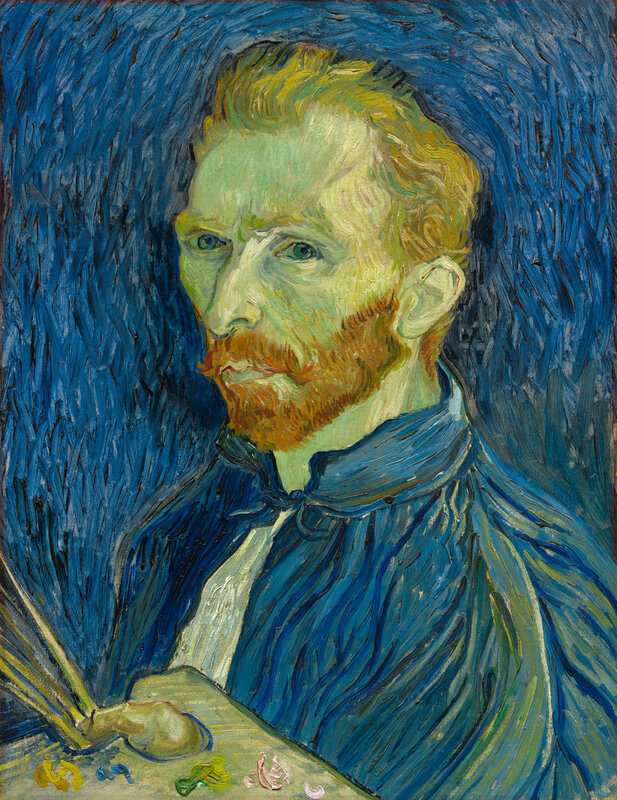 Van Gogh only sold one painting in his lifetime, before passing away from a gunshot wound at the early age of 37. During his lifetime, very few knew and appreciated his work. Near the end of his life, however, his comrades in art praised his work faithfully. Van Gogh's life work as an artist produced over 2100 pieces in his short time painting, including portraits, still lifes, landscapes and drawings. Notably, his work, along with Pablo Picasso's work, is some of the highest priced at auction. Thanks to Van Gogh, strong brushwork, regardless as to how it comes about has a solid place in art. Just this week an article was released by ArtDaily.org on a Van Gogh painting at the Indianpolis Museum of Art where the conservation team is cleaning Undergrowth with Two Figures. 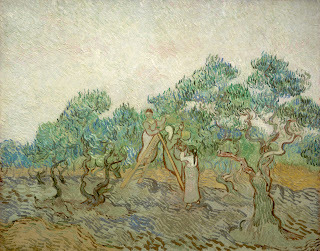 You can read further about the pigments that Van Gogh used in this piece, painted within the last few weeks of his life. To see more of Van Gogh's works and get to know him better, take a look at the Van Gogh Museum's website, or go visit it in Amsterdam. The Faux Sable paint brush, is hands down, my most used artist brush. Since I work primarily in acrylics, all levels of density, gels, and mediums, I'm able to easily move from one type of brush to another depending on the mood I'm in or the effect that I'm trying to achieve. But, since the faux sable can handle all types of watermedia and painting styles, I find myself grabbing them the most often. Primarily for my abstract work, I do a lot of glazing in between layers and layers of pours. I need wide flat brushes, usually, and ones that hold a lot of fluid. I also need a brush that can lay down paint without leaving a stroke mark, almost gliding across the surface of the painting. The brush has to keep its shape because when I'm in the studio, it might sit in medium or water for a while before I head to the sink. I need a brush that can work with heavy paints and also light washes of water. Hence, the faux sable is by far my favorite abstract working brush. It is also my favorite for painting furniture, murals or faux finishes, especially working in small areas. Faux Sable might be one of the easier synthetics to find in an art supply store, but don't be fooled. All faux sables are not alike. Each brush company relies on different synthetic hair suppliers, and companies may or may not combine synthetic hairs to mimic a true sable. As in shopping for any artist brush, take a close examination of the brush's ferrule, handle, feel and overall quality before you purchase.